Want to know what rally racing was like back in the early 1990s? At least in the videogaming scene? Thrash Rally is back and blasting its way to Xbox One. Available right now on Xbox One is the latest title to come under the ACA NEOGEO banner – Thrash Rally. Priced up at just £6.09 (slightly cheaper than the usual Neo games for some strange reason), this is a racing title that was first release way back in 1991 by the team at SNK, allowing gamers to race through cities, and hoon it through the countryside without a care in the world. With the addition of amendable game difficulty settings and the chance to compete against strangers the world over (two things that wouldn’t have been doable back in the day), if you’re happy to embrace the retro scene and are ready for a different type of racer, then ACA Neogeo Thrash Rally is one for you. It may not be Forza, and it may not be DiRT, but it’s racing nonetheless. Just head on over to the Xbox Store and grab yourself a download right now. 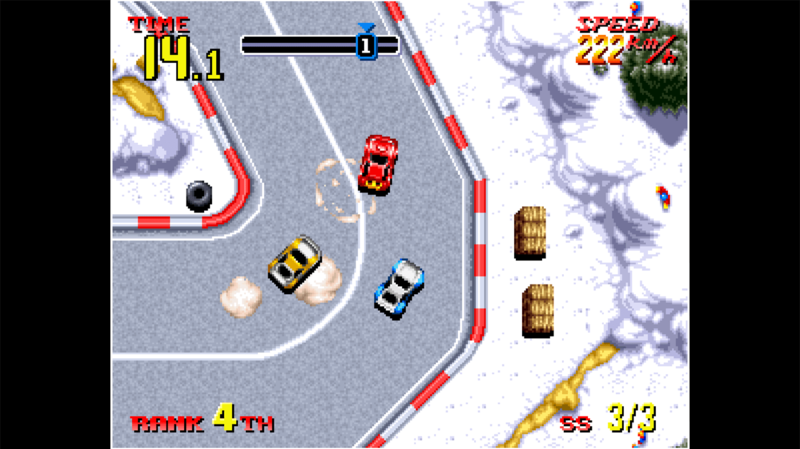 THRASH RALLY is an original racing game released by SNK in 1991. Two game modes “World Rally Championship Mode” and “Rally Mode” are available. Travel through cities and the countryside as you make your way through the courses. *Game sections requiring use of the connection jack are not included. The “ACA NEOGEO” series has faithfully reproduced many classic NEOGEO masterpieces. Players can change various game settings such as game difficulty, and also reproduce the atmosphere of arcade display settings at that time. Players can also compete against each other from all over the world with their high scores. Please enjoy the masterpiece that built a generation for video games. *This title is based off the MVS (NEOGEO for arcades) version. There may be differences between this version and the versions for the home NEOGEO console and other home consoles.